Learn the steps for starting a business in Ellsworth, how to obtain a business license, as well as available state and regional resources. The Ellsworth Commercial Information Exchange (ELLSCIE) provides information on commercial property listings in Ellsworth. The Directory of Local Contractors is maintained by the Ellsworth Code Enforcement Office and provides contact information for contractors with permits to do business in the city. 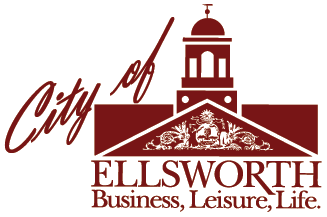 Considering growing or locating your business in Ellsworth? The Ellsworth Economic Development Office is here to help! The Ellsworth Area Chamber of Commerce encourages, promotes, and supports the growth and development of commerce in Ellsworth and surrounding communities.